HSPA EMEA/APAC LIM. VOICE APPZ. 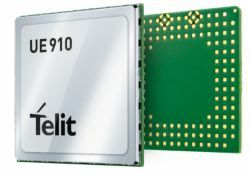 The xE910 family addresses global applications requiring one-region-at-a-time coverage and is ideal for fixed-wireless applications such as utility metering, home and commercial security and situations with limited in-region mobility such as POS and logistics terminals.